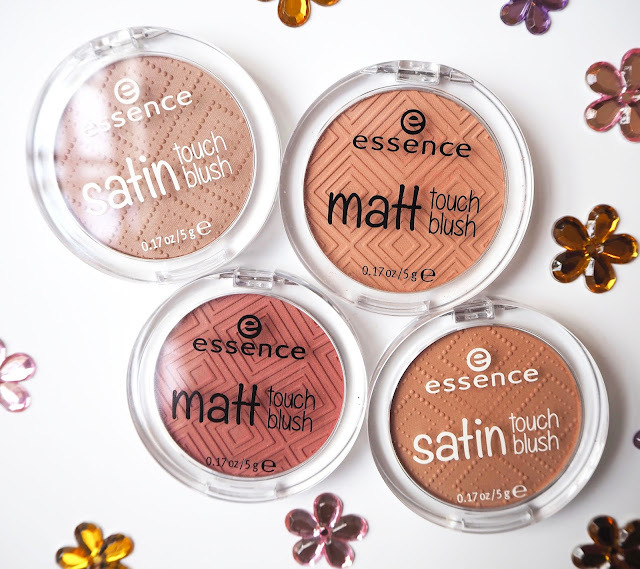 Jasmine Marie Beauty: Essence haul and review! I was actually quite surprised at how huge the range was, there was absolutely tonnes of stuff in the store and online they have even more products. 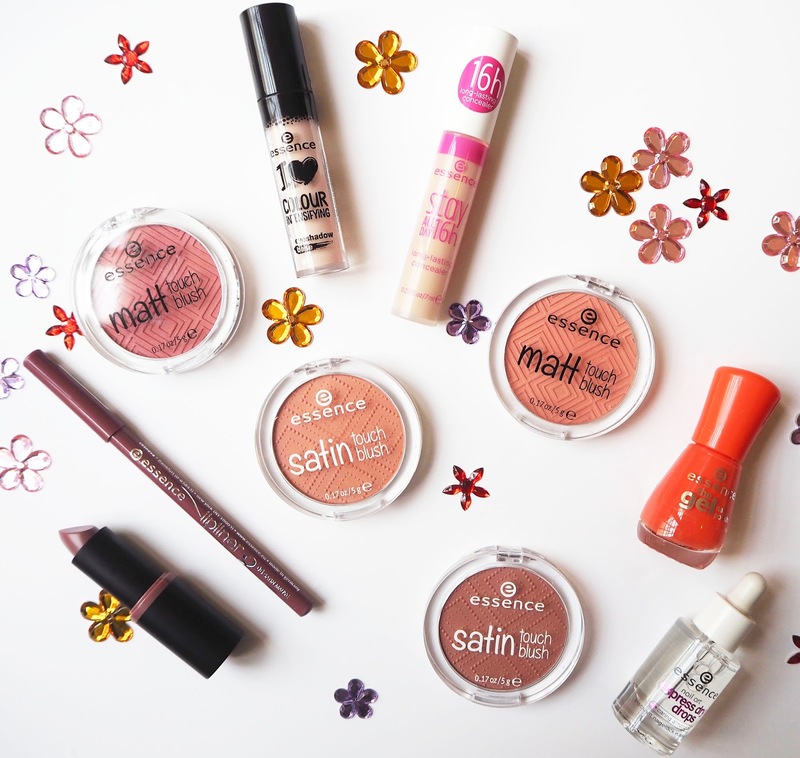 From eyeshadows, to primer, to lipstick, to blush, to bronzer, trust me they have you covered! As with any haul some things I loved and some were maybes but there were no misses which is virtually unheard of in a make up haul from me. First up I got the I Love Colour Intensifying Eyeshadow Base (£2.50), I have been obsessed with the Nyx HD Eyeshadow Base for several months now so felt it was time to change it up. I liked the look of this one because it has a very pale pink colour to it which I found worked well at smoothing out the texture of my eyelid and covering any veins. It's very brightening which gives a good base for your shadows. Overall I quite liked this, after several hours there was some creasing which was a shame but actually it wasn't horrendous and for the price I don't feel you can really complain. I also wanted to try a new concealer so I got the Stay All Day 16H Long Lasting Concealer (£2.50) in shade 10 Natural Beige, this was the lightest shade I could see so went with it. Now after a few uses I have to admit this isn't light enough for me and it has quite a yellow undertone which personally I'm never that keen on. However, the actual formula itself isn't bad at all, it gives a reasonable amount of coverage but it did crease quite quickly so I would recommend setting this straight away. 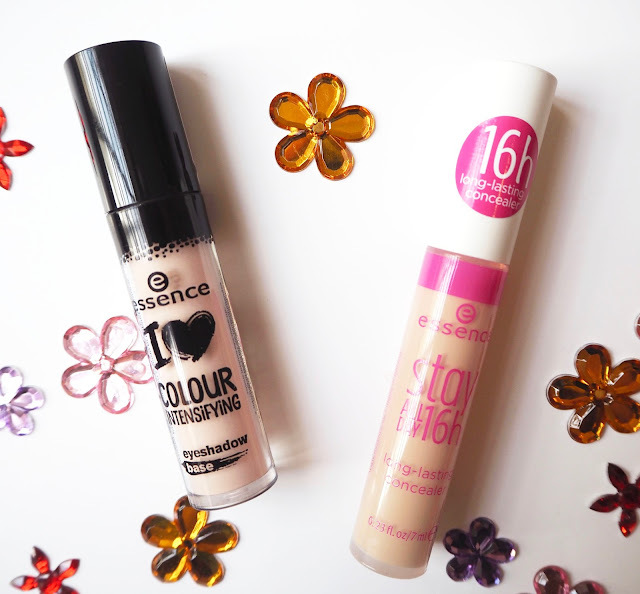 I did have to go back in over this with a little brightening concealer as even though it had enough coverage it wasn't making me look very 'awake' but thats probably down to not being light enough for me rather than the actual formula. What is a make up haul without a lip product or two? I went for a standard 'Jasmine' shade and got the Long Lasting Lipstick in 26 (£2.30) and the Lipliner in Satin Mauve (£1). I wanted to get a lipstick and a lipliner so I could see how they worked together and I have to say, I love them. 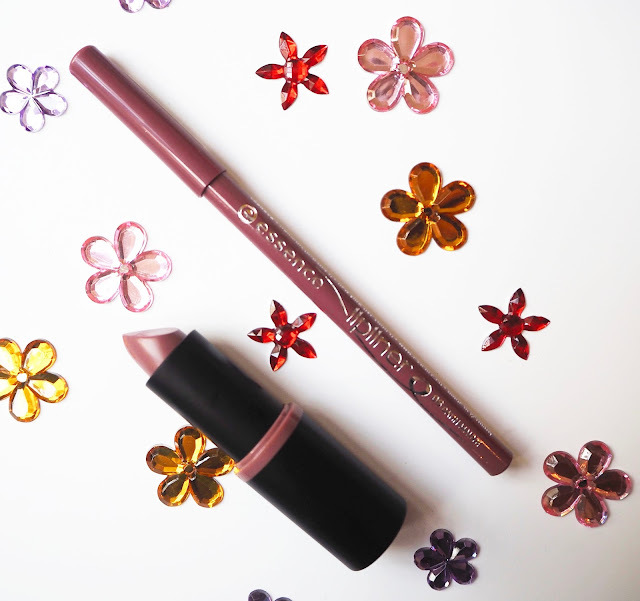 The lipliner is very pigmented and smooth and glides on nicely, the lipstick is moisturising and comfortable to wear on the lips. I was impressed by how good the quality of these two were, they worked well as a duo and have a decent amount of staying put power. 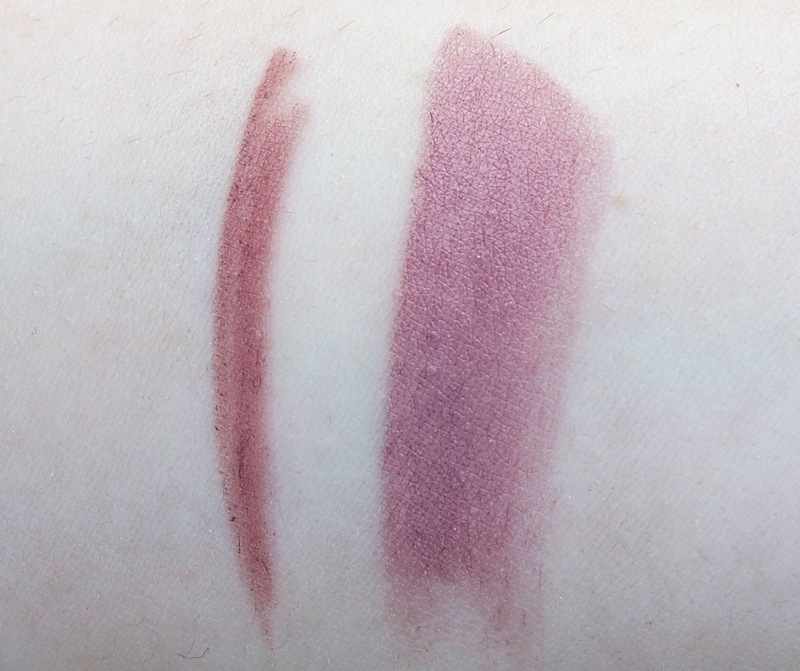 These mauve colours have a fairly purple undertone which does make them a bit different for me (sort of) and I liked how they complimented my skin tone. I fancied doing my nails so got The Gel Nail Polish in Orange To Go (£1.60) as it felt very Summer appropriate, I absolutely love bright, in your face nails at this time of year. This applied well, not too runny or too thick and after 2 coats it looked very vibrant. For me I would expect a gel effect polish to have a little more shine to it, I do appreciate I didn't get the topcoat that comes with the range but even so... This looked decent on my nails for a couple of days before I needed to remove it. 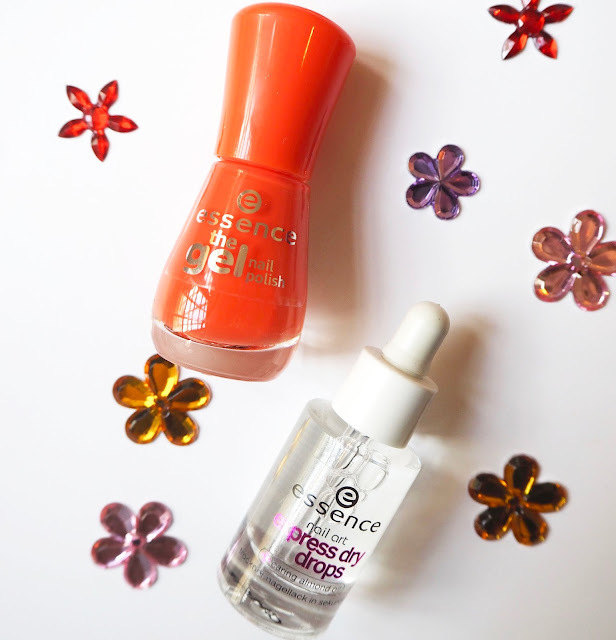 I finished off my mani with the Express Dry Drops (£2) and I have never used a product like this before. The idea is that you put a drop or two on to each nail to dry out the polish and they did the trick. I wasn't crazy on this though because they are a little messy to use but, yes, they do the job. My absolute favourite thing I got were the blushers, they are seriously amazing and only £1 each!! I had heard a lot about these on Instagram so I had high hopes anyway but I didn't think they would be this good. I couldn't pick which ones I wanted so I got four, oops! I got two of the Matt Touch Blush in shades Peach Me Up and Berry Me Up, and two of the Satin Touch Blush in Sating Coral and Satin Love. The pigmentation of these are great, you really don't need a lot on your brush to get the colour showing up on your skin and they last nicely throughout the day. Now, even though the packaging is quite basic I actually think its so handy for travelling as its slim, when I went away recently I took a couple of these and they hardly took up any space in my make up bag. They also have a cute little print on the blush which is a nice finishing touch. Please let me know which Essence products you love as I need more in my life!